The debate surrounding what to do about the teen vaping epidemic has been going on for some time now. 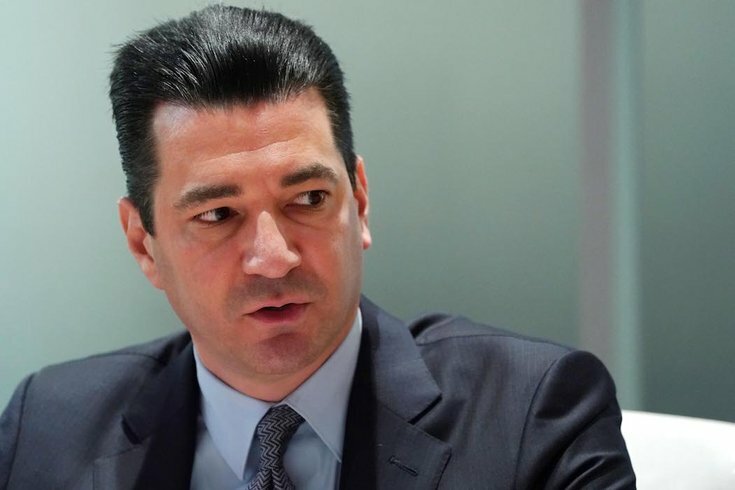 On Friday, Food and Drug Administration Commissioner Dr. Scott Gottlieb made his most direct threat yet against e-cigarette companies, include the popular Juul, saying they face an “existential threat” if they don’t stop marketing to youth. At a public hearing in Silver Spring, Maryland, Gottlieb noted his shock that the rate of young people addicted to e-cigarettes use had reached levels where FDA-approved methods for quitting e-cigarettes could be necessary. Gottlieb noted a Centers for Disease Control and Prevention report that smoking rates among adults reached an all-time low in 2017 — 14 percent of adults reported cigarette smoking “every day” or “some day,” marking a 67 percent decrease since 1965. Despite this, “progress is being undercut – even eclipsed – by the recent, dramatic rise in youth vaping,” Gottlieb said. The problem, Gottlieb says, surrounds an explosion in availability and popularity of e-cigarettes over the past year, in part fueled by the availability and convenience of Juul brand e-cigarettes. Those factors have caused vaping rates to nearly double among high school students between 2017-2018, The Hill reports. Gottlieb threatened that if manufacturers — like Juul — don’t obey the FDA’s “voluntary” demands, he’ll use the Deeming Regulations to ban them from selling any products that haven’t been granted a Pre-Market Tobacco Authorization (PTMA). Obtaining a PMTA involves thousands of pages of paperwork and costs of up to several million dollars and could be devastating to the vaping market in the United States, Vaping Post reports. These laws aren’t enough for extreme anti-vaping groups, like the Campaign for Tobacco Free Kids. "The FDA has concluded that the level of addiction it is seeing among youthful e-cigarette users is so disturbing and so unprecedented that it needs to at least ask whether we need a solution that goes beyond what we ever did with cigarettes," Matthew Myers, president of the anti-smoking group Campaign for Tobacco Free Kids, told CNN last month. In fact, some states have taken the issue into their own hands. A new bill introduced to the Vermont House of Representatives would ban online sales of vapor products – prohibiting shipping e-cigarettes or liquids to anyone in Vermont other than a licensed wholesaler or retailer, Vaping Post reports. Additionally, a bill in North Dakota aims to completely ban flavored e-liquids. The legislation would ban the sale of any liquid that has “any sort of flavor or aroma”, with supporters claiming this is aimed at fruit, candy or spice flavors — but most e-liquids contain a flavor of some sort and would likely lead to the ban of manufacturing such liquids in the state. “FDA’s recently announced regulatory actions regarding e-cigarettes do not go far enough and we urge much stronger action. Strong tobacco control policy aimed at keeping enticing products away from adolescents may be more effective in achieving adolescent cessation than medical interventions,” Dr. Susanne Tanski, a pediatrician and past chair of the American Academy of Pediatrics Tobacco Consortium, said at the hearing, NBC News reports. Many officials and expert echo these sentiments and encourage the FDA to prohibit the sale of e-cigarettes online, noting that the age verification steps are essentially useless. While the hearing was meant to gather input from professionals to help children already addicted to e-cigarettes, most experts agreed there is not much evidence about what might work. One thing they could agree on, however, was that it’s important to help teens with the anxiety and social pressure that go along with vaping. "This is why, as a public health agency, the FDA must examine the problem of underage use of e-cigarettes holistically. When it comes to youth use of tobacco products, including e-cigarettes, we recognize that there are many facets to the issue. We must not only seek to develop evidence-based programs to prevent youth and young adults from using tobacco in any form; we must also explore evidence-based approaches to address existing youth tobacco use."